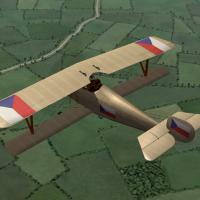 Fighting continued in Eastern Europe and Russia for many years after the end of World War I. These decals are the insignia of many of the nations that were formed in the closing days of the war. Most of them fought against the Bolsheviks in the Russian Civil Wars, but many of them also fought each other at one time or another. I have included decals for - Czechoslovakia, Estonia, Finland, Greece, Hungary, Latvia, Lithuania, Poland, Russia, Ukraine, and Yugoslavia. Many nations did not have standardized insignia at first and I have included variations for many of the nations. I have included a text document with notes on how and when they were used. 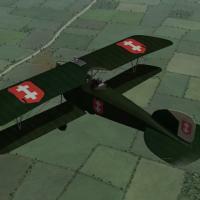 To use these, you will probably need to tweak the decal ini's for existing planes. How and when insignia are reversed on opposite sides of the plane changes from nation to nation, and the horizontal tail stripes will need to be adjusted. You may use these decals for your own personal use. 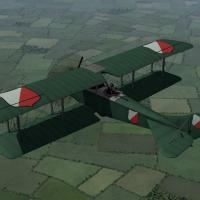 You may include these decals with any skins you upload for First Eagles at Combat Ace. Please give me credit. 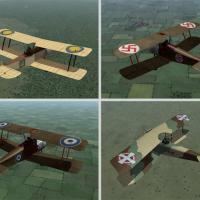 You may NOT include these decals with skins you upload at any other site.